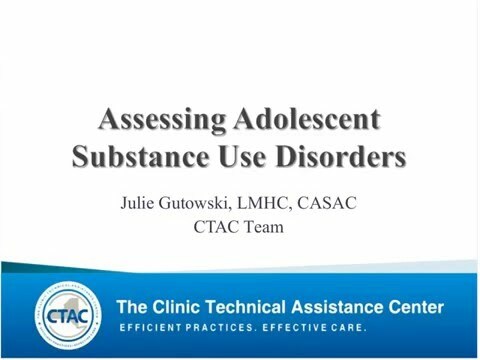 This webinar will provide an overview of substance use disorders among adolescent mental health clients and focus on identification and assessment. Participants will be able to use the CAGE AID as a screening tool and to conduct an interview to ascertain diagnostic criteria for substance use disorders. Additional resources will also be provided that address treatment options.